Last week we saw some of the biggest names in the drum and bass community come together to introduce a new playlist to one of the most used streaming platforms, Spotify. So far it has been received with a lot of love by the rest of the Drum and bass community and fans, of course there have been a few people who are skeptical about the reasons behind such playlist and chosen platform. From what we have seen in the documents sent to us, there does not seem to be any sort of nefarious agenda behind the playlist; it’s not a money grab and it’s not an elitist circle jerk as some jaded producer put it. We believe as much as this playlists is looking to be inclusive, we understand that in order for the playlist to be of quality there will be a need for quality control and perhaps not every label or artists will be able to participate. The “mansdem” behind the playlist are looking for established labels that are actually releasing good music and putting in work on the promotional side of their business with reason. That said , it has been a week since the playlist was unveiled and we have seen it grow to over 16k followers, most singles are already getting over 2500 plays, larger known artists are obviously getting more love on the play count tip but that’s understandable. The importance of a playlist like this for a smaller independent label is huge as it is giving them the opportunity to get some of the marketshare that the larger labels and artists on the playlist have. It also gives smaller labels involved the opportunity to get their music in the ears of more fans than what they would if they were pushing their own playlist on Spotify. Some labels are going from maybe 100 spins of their singles to thousands more and that for a small label is a huge win. If you want to find out more about this awesome playlist read the press release below. 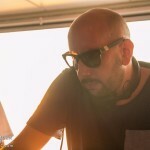 Artists spanning all sub-genres and being inclusive of all participating labels and artists ranging from RAM, Hospital, Technique, Viper, Breakbeat Kaos, Forma:on & Playaz’s, Liquicity, Eatbrain, Exit, Patrol The Skies Music and Cri:cal… and that’s just for starters! the concept of a definitive drum & bass playlist for everyone’s music to feature on as soon as it’s released. A playlist with all forms of drum & bass from across the globe, self-organized by the scene itself and curated by the labels, with each label picking 1 track per week to be included. 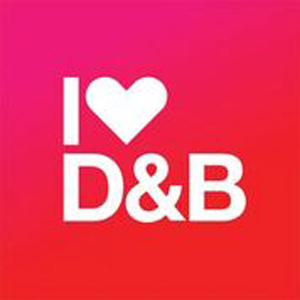 I ❤ Drum & Bass represents an evolving astute in one of the most consistent and present genres of club music, bringing a new unity and energy to the table that’s set to invigorate the genre and inspire the world of music.